Marion County Farm Bureau had a few representatives attending the American Farm Bureau Federation's Fusion Conference held in Nashville, TN. They included Women's chairperson Nancy Harmon, her husband Jim Miller, LuAnn Mattingly and Kaye Peterson. 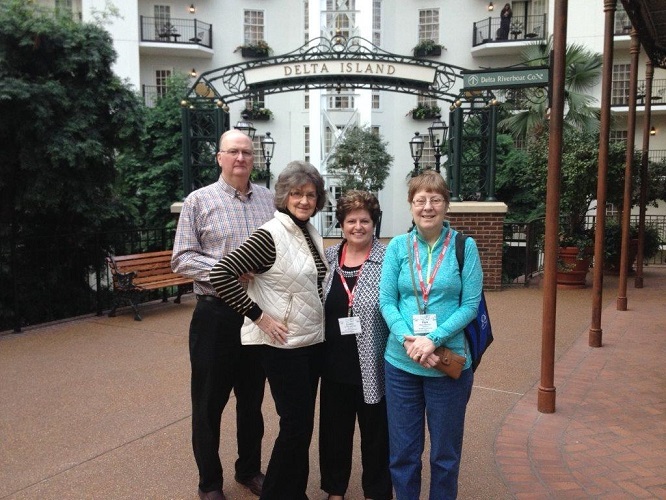 Women's chairperson Nancy Harmon, her husband Jim Miller, LuAnn Mattingly and Kaye Peterson outside the conference center in Nashville.